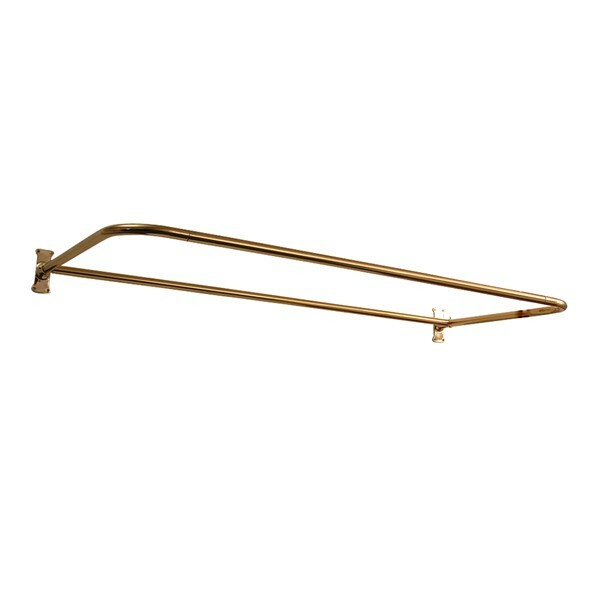 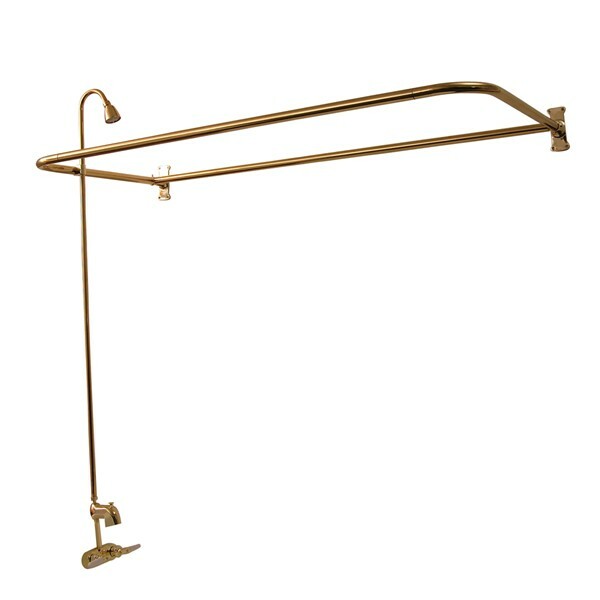 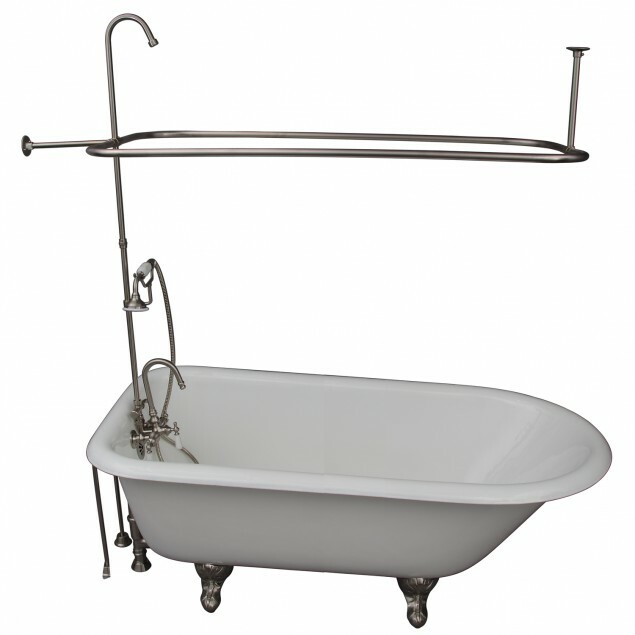 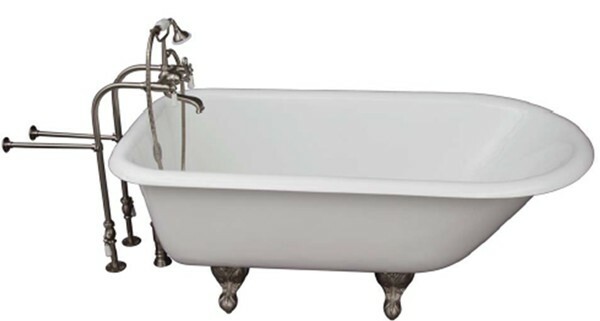 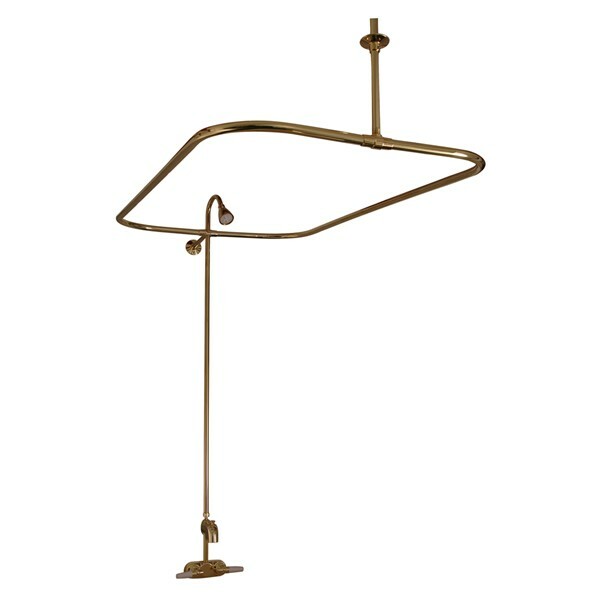 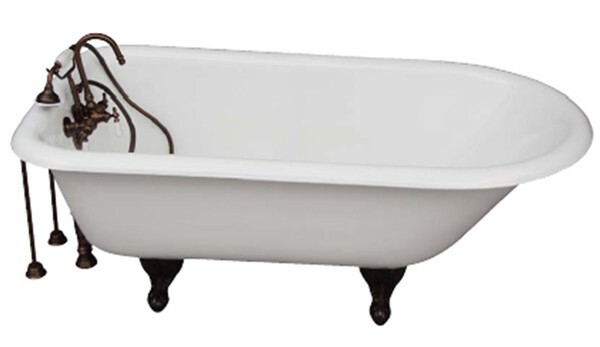 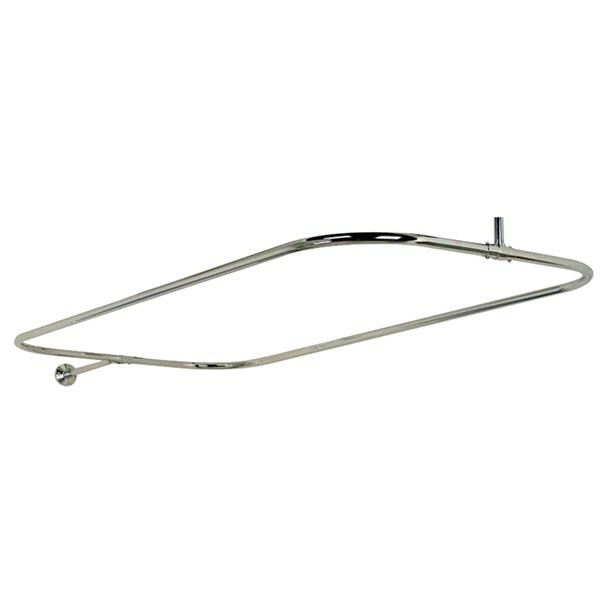 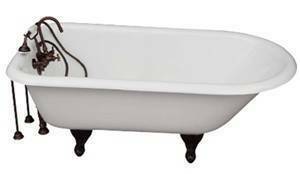 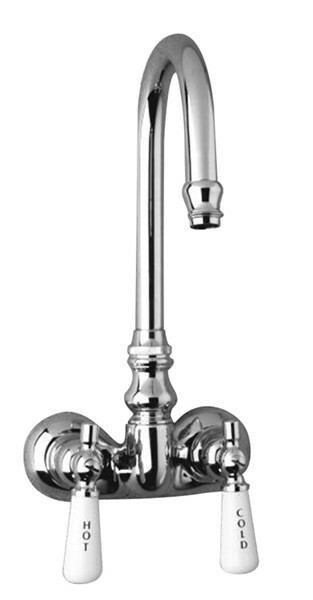 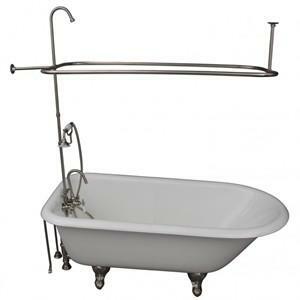 Brocton bathtub features classic ball & claw feet, end drain and a traditional rolled rim. 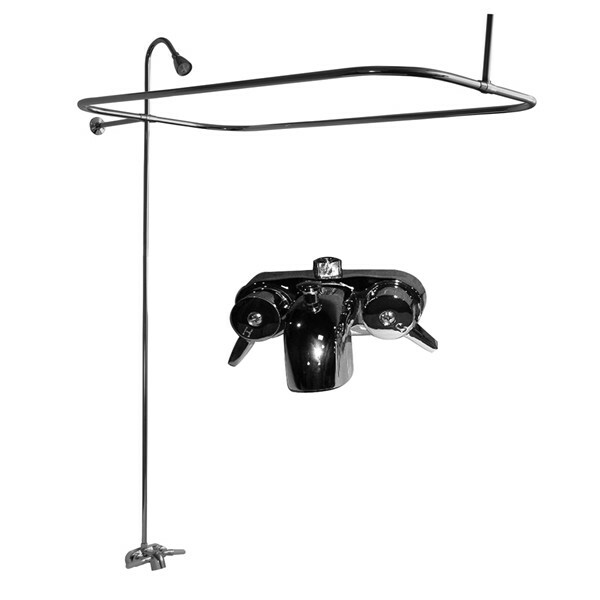 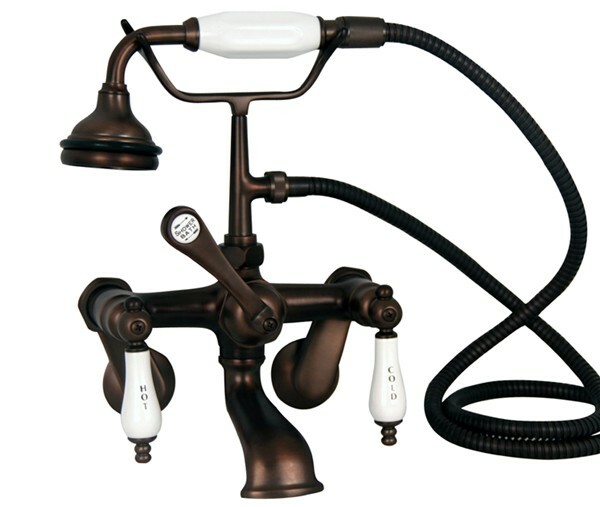 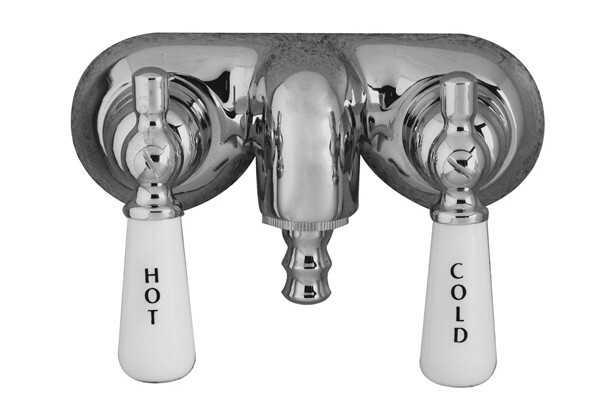 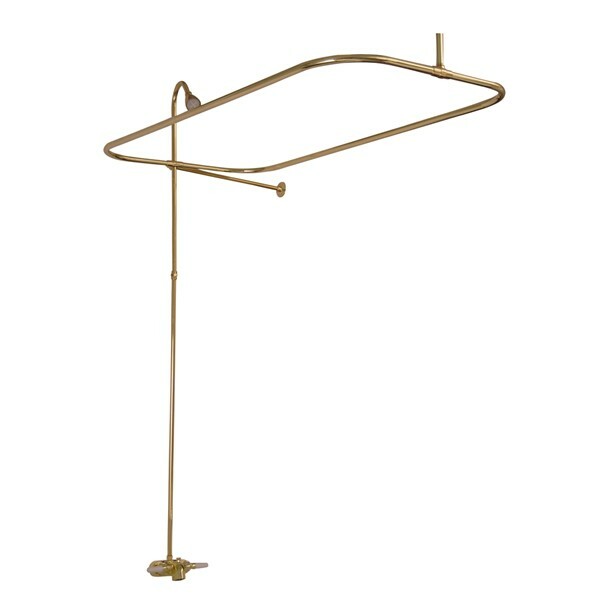 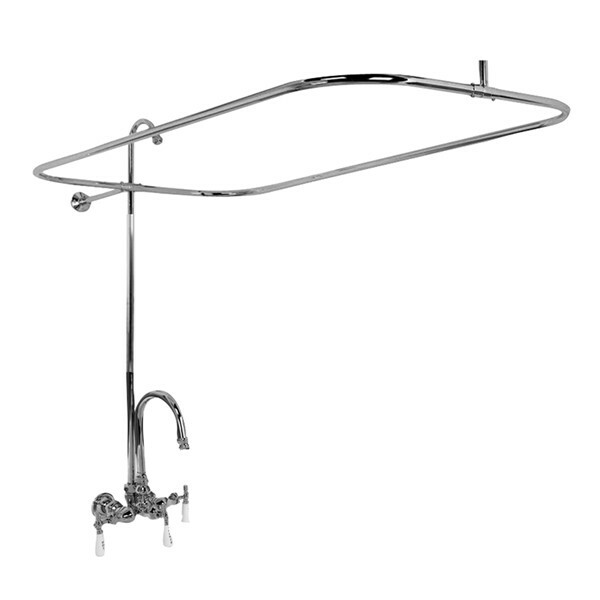 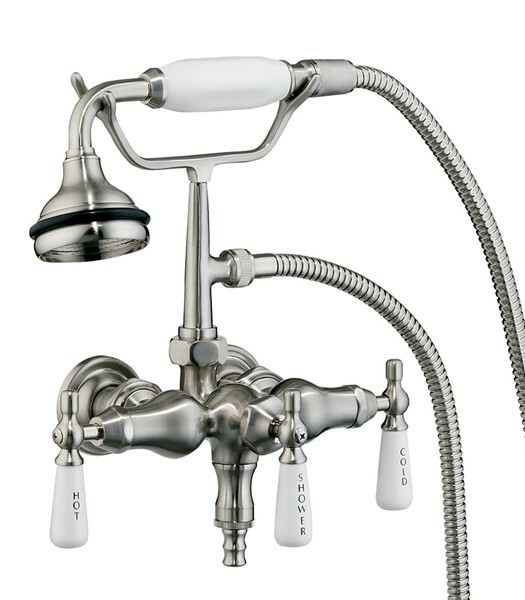 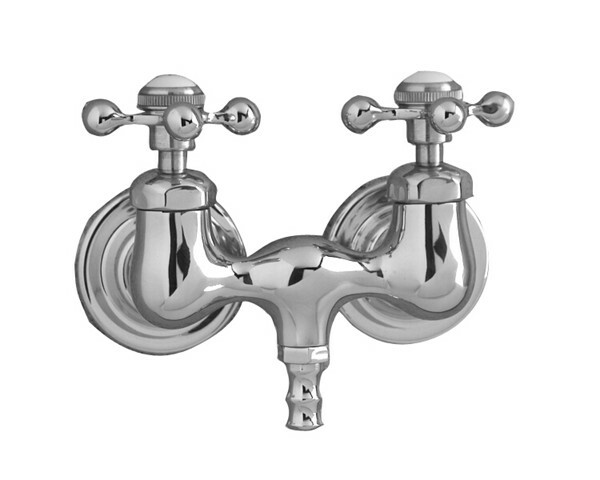 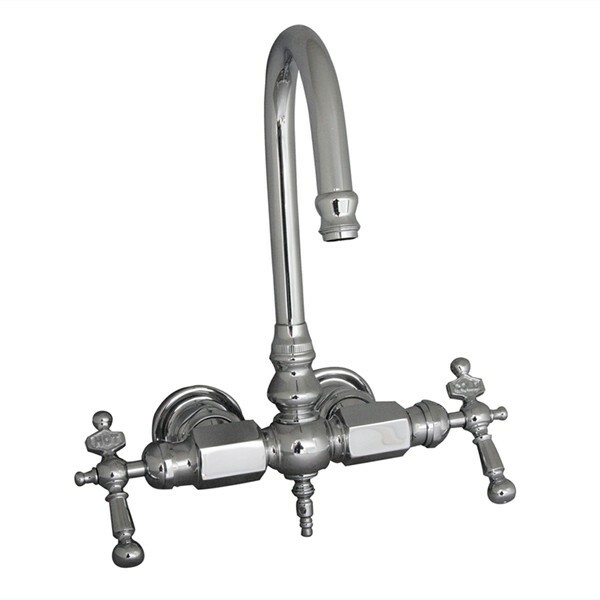 Choose a bath with faucet holes drilled on the bathtub wall, or no faucet holes at all. 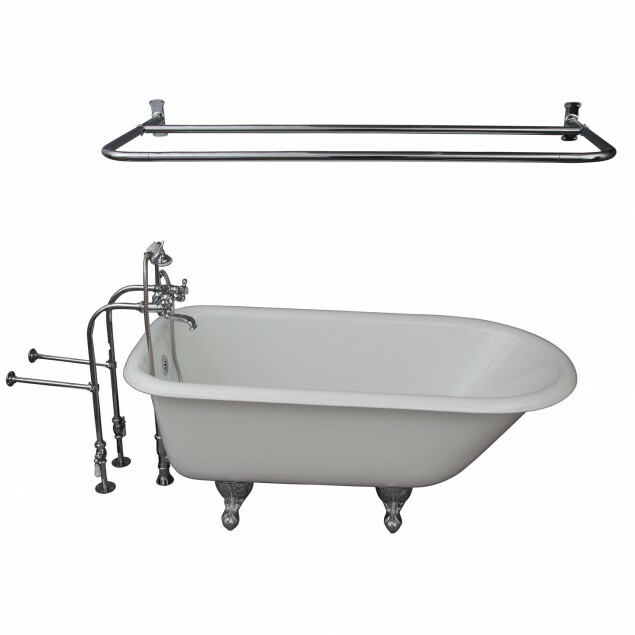 Find easy to order tub kits for both styles. 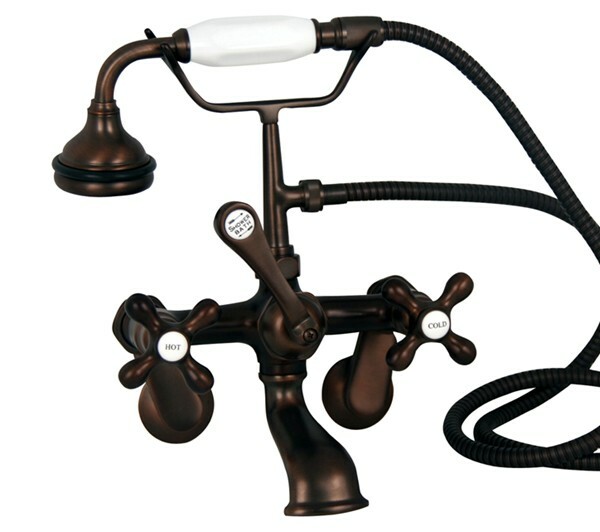 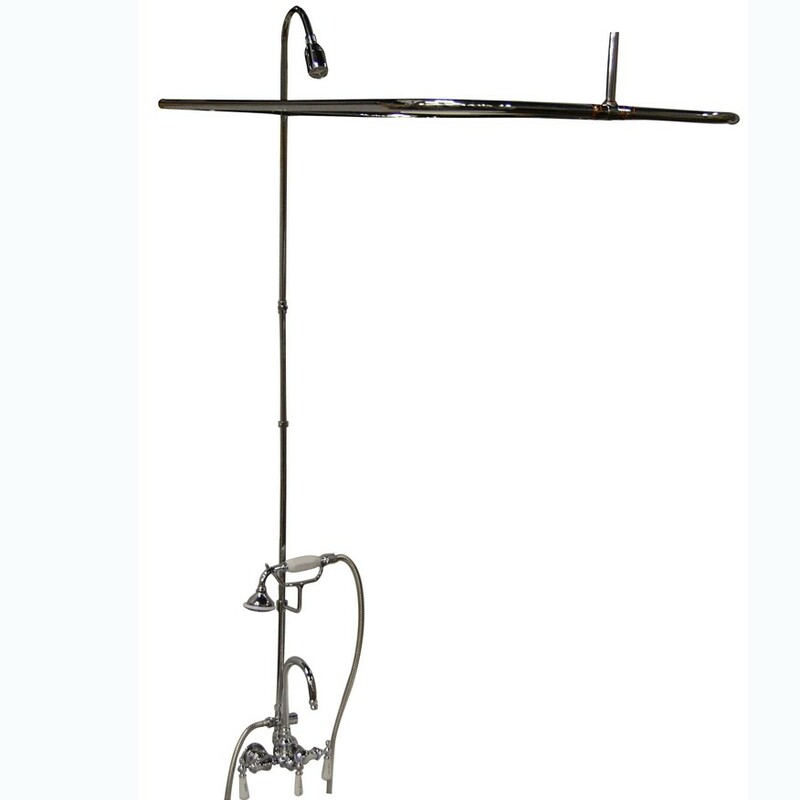 These kits come complete with everything needed: Clawfoot bathtub, water supplies, faucet and drain. 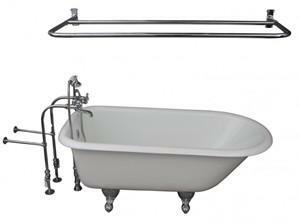 68" x 30 1/2" x 23 1/4"
From bottom of bath to top: 18 5/8"